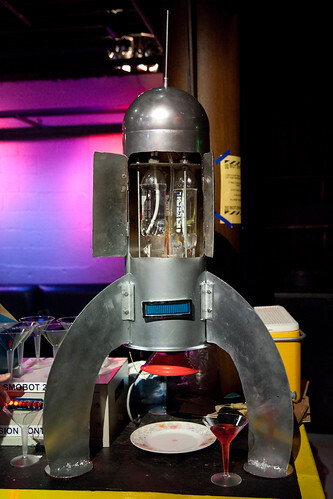 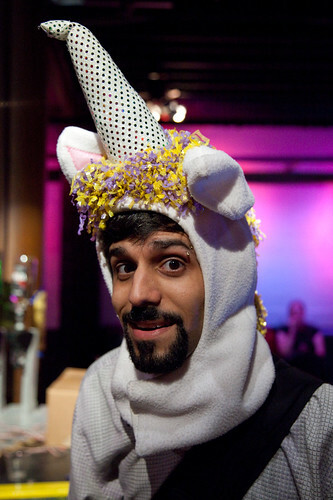 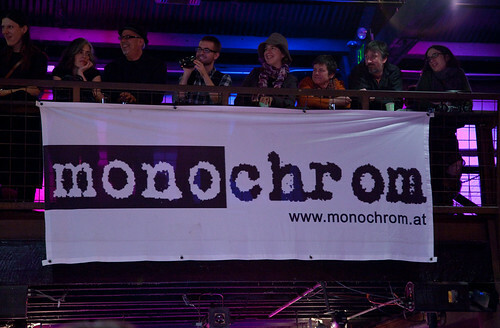 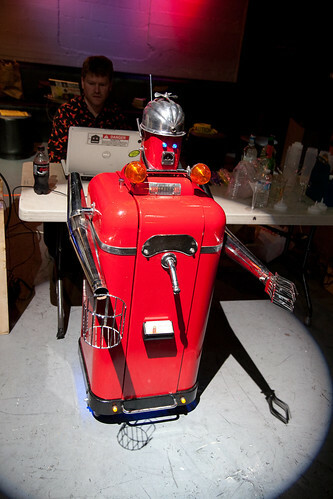 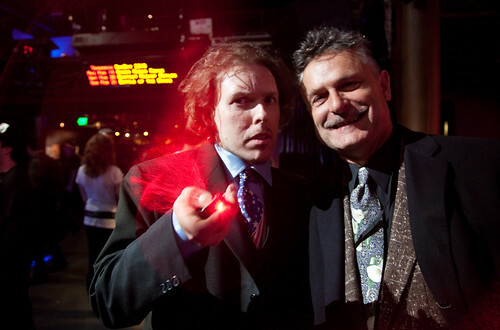 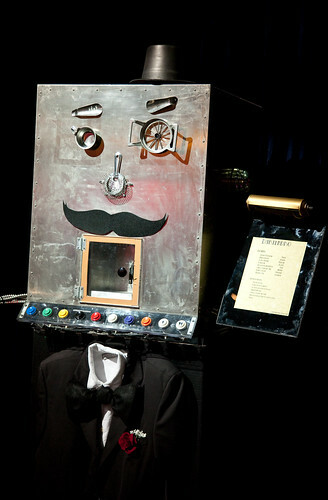 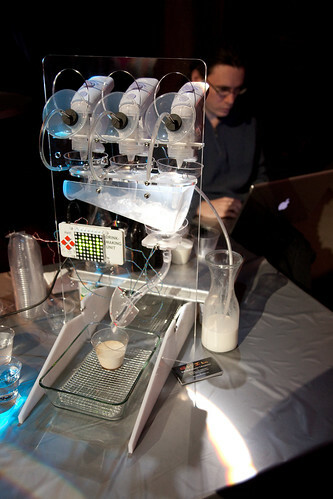 Here are a few photos I shot last night at BarBot 2010, a Cocktail Robot Festival hosted by monochrom and RoboGames at DNA Lounge in San Francisco. 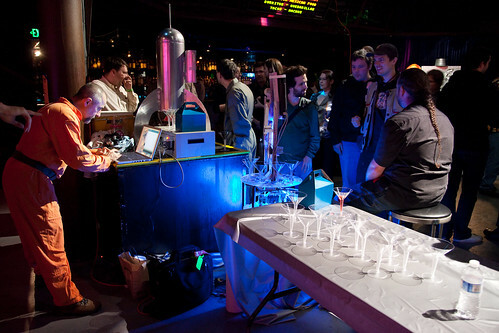 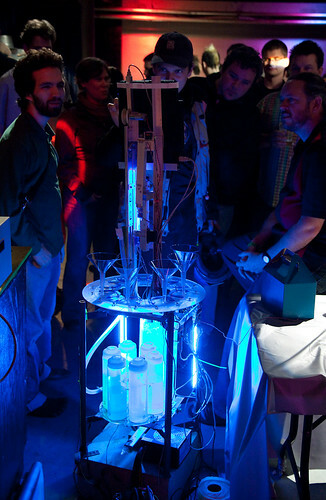 Johannes Grenzfurthner demonstrates the Barnold PS2 cocktail robot built by his students at the University of Applied Sciences in Graz, Austria. 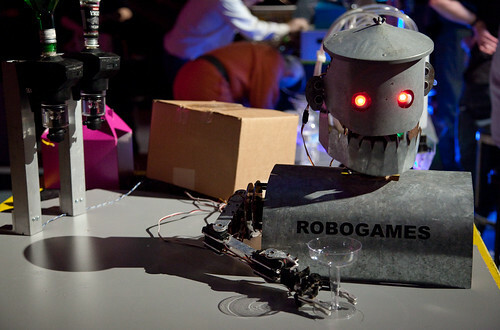 UPDATE: Here are more BarBot 2010 photos by Dave Schumaker.